There are some of you who may not know this, but Nicolas Cage (best known from being a genuine, lovable nutjob many times) was once tapped by Hollywood execs to play a mullet-toting Superman in a '90s Superman reboot entitled Superman Lives! directed by Tim Burton. The sordid pre-production, accompanied by horrible decisions all around, is forever immortalized in a documentary entitled The Death of “Superman Lives”: What Happened? from 2015. Ever since the moment fans got a glimpse of the scrawny, mulleted Cage in a Superman outfit, they have been begging for this to be a reality. 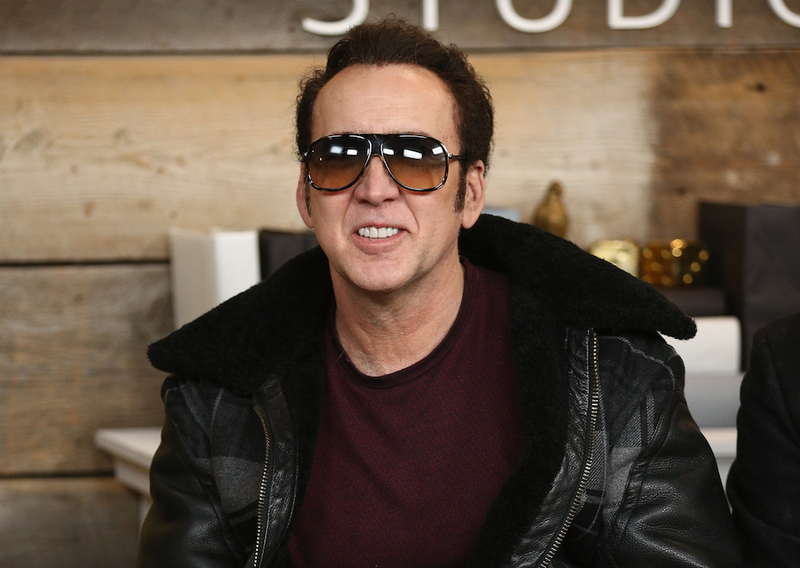 Like so much of what happens in life, the past is coming back in a different way with Cage voicing Superman in a theatrical release of Teen Titans Go!, which is set to hit actual theaters on July 27 of this year. It’s the first film based on a Warner Bros. animated series to hit theaters since the "Batman: The Animated Series" feature Mask of the Phantasm hit theaters in 1993. It’s also the first film to actually feature Cage as Superman, and hopefully not the last!